The Mission of UC Oracles is to provide a positive learning environment in which every member has the opportunity to develop outstanding communication and leadership skills, fostering professional and personal growth. 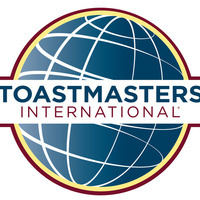 UC Oracles is a Toastmasters International club based at UCSF. Established in 2001 by a group oriented towards staff development, our club is open to the staff, faculty, students, researchers, post-docs, and residents of UCSF. Do you want to be a more confident public speaker? Do you want to practice a presentation for work in front of an audience? Or are you just interested in meeting some new people at UCSF? Toastmasters is designed to help you with these issues! We encourage you to join our Thursday meetings and experience it for yourself. All non-members are warmly welcome to attend our meeting as a guest.